Posted on January 24, 2018 at 13:13. Elastisys has been listed as a Kubernetes Technology Partner, together with around 60 other international companies like Intel, Citrix, CA Technologies and Puppet. Kubernetes Technology partners offer integrations and plugins that add unique features on top of Kubernetes applications. The open source project Kubernetes, released by Google, is becoming the de-facto standard for container orchestration. At Elastisys we have been using Kubernetes from the first release, integrating Kubernetes in our software platform and using it extensively to deliver intelligent cloud infrastructure to customers in all kinds of industries. Besides our predictive analytics software for Kubernetes we also offer consultancy, training, development and help with transitioning into Kubernetes-based solutions. We have long experience in designing, building, and operating Kubernetes clusters. In particular, we excel in creation of self-healing, self-managing, and self-optimizing infrastructures. We also specialize in highly available set-ups – both on-premise as well as in public clouds. Posted on December 13, 2017 at 12:03. In part 1 of our Black Friday blog post series, we investigated the importance of uptime – you don’t make any sales when your site is down, but also site performance – slow sites kill conversion. We gave a few hints about how e-commerce sites can improve availability and performance. Open positions in Fog computing! Posted on November 8, 2017 at 11:40. We currently have two open positions in Fog computing research. This is an exciting opportunity for anyone who wants to combine research (leading to a PhD) with work in one of Sweden’s most exciting startups. Extensive training in innovation and entrepreneurship is included in the program, as well as a extended stay abroad. The positions are open until filled, apply today! Full details and application instructions can be found here. 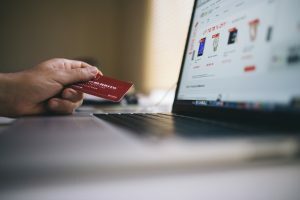 Black Friday: a black day for IT operations? Posted on November 7, 2017 at 16:50. Black Friday (24th november) and Cyber Monday (27th november) 2017 are approaching. Online retailers all over the world are preparing for one of the busiest and, hopefully, most profitable weekends of the year by creating marketing campaigns, looking over store performance and doing capacity planning for their IT infrastructure. Goods for $3.3 billion were bought on Black Friday 2016 alone. Considering that holidays like this make up a big part of many retailers yearly revenue, it stands to reason that this is one of the days when ecommerce sites just have to work.